Dr Imran Awan is An Advisor to the British Government on Hate Crimes. Dr Imran Awan is an author, academic and researcher who is exploring the role of crime and its impact on society. Dr Imran Awan is one of the country’s leading experts on hate crime, Islam, terrorism and cybercrime. Imran is also a blogger for the Huffington Post and is a regular contributor to the Guardian, the Independent, New Statesman and the New York Times. Imran continues to provide his expertise for leading News Media Channels such as Channel 4 News, ITV News, Al-Jazeera English and PBS America. Imran’s work has also featured on Channel 4 Dispatches, BBC Panorama, BBC Radio 4 ‘Thought for the Day’, TIME Magazine, BBC World at One and BBC 5Live. Imran was appointed, as an advisor to the British Government on anti-Muslim hatred related issues and is passionate about helping society tackle issues related to counter-terrorism, hate crimes and Islamophobia. 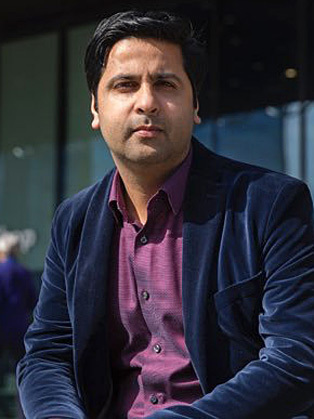 As well as advising politicians on how best to tackle issues related to hate crime and extremism, Imran has given written and oral evidence before a number of high profile committees, such as the Home Affairs Select Committee. In 2015, Imran was nominated for the prestigious national British Muslim Awards for ‘Services to Research and Education’. He sits on the advisory group of a number of charities and organisations providing his expertise and consultancy. Imran is also the author of a number of books and academic journal papers. His new co-authored book – Islamophobia: Lived Experiences of Online and Offline Victimisation is published by Policy Press. Imran was once offered to play the role of a lead actor in a Pakistani Drama Series. You can read more on Imran's view via his Twitter. The issue of Hate on the Internet has emerged as one of the greatest challenges facing those charged with reducing harmful hate cases in our societies….and this is a serious text that will be valuable to any reader looking to better understand the nature of anti-Muslim hostility and how it is expressed online.